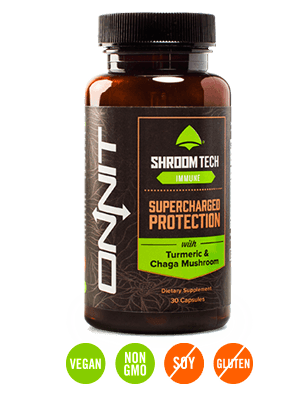 Shroom TECH Immune by Onnit at Bodybuilding.com - Best Prices on Shroom TECH Immune! With Reishi & Chaga Muschroom! maintain a strong & active immune system. Mushrooms are traditionally prized for both the nutritional value and composition of biologically active compounds believed to support the immune system. Beta-glucans are high molecular weight polysaccharides. The structural configuration, glucoside linkages, and molecular mass of these mushroom specific compounds are recognized as foreign bodies by immune cell receptors, initiating a cascade of events that elevates the production of both innate and adaptive immune cells. Beta-glucans have been suggested to bind to the Decin-1: promoting phagocytosis and further supporting of immune response pathways. * Immune Assist™ contains over 200 highly-purified, high molecular weight polysaccarides derived from 100% USDA Certified Organic, Certified Kosher, non-GMO mushroom species that include: Agaricus blazei, Cordyceps sinensis, Grifola frondosa (Maitake), Ganoderma lucidum (Reishi), Coriolus (Trametes) versicolor, and Lentinula edodes. Elevation of the body’s natural form of defense with a blend of these highly functional foods can assist the body by supporting vitality and health. 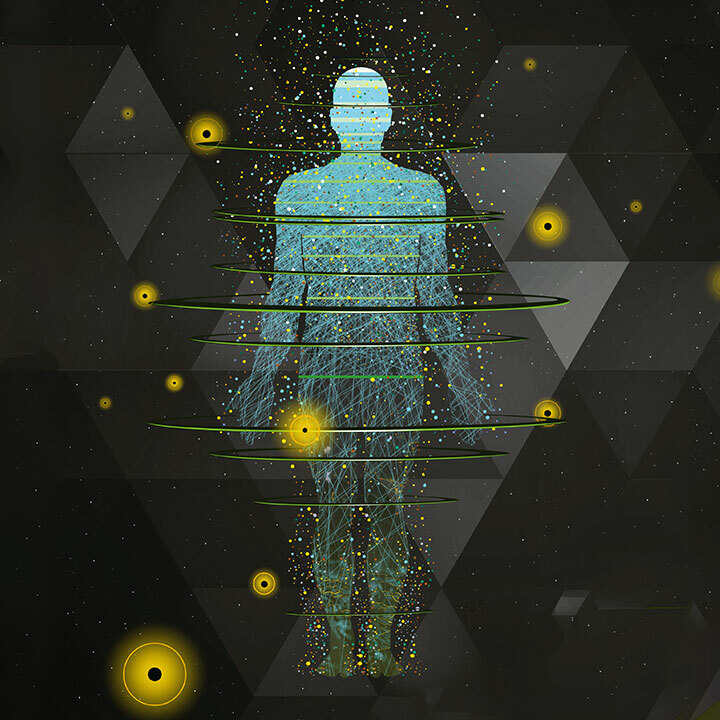 * For more information on Immune Assist™. 1.) Lindequist, U., T.H. Niedermeyer, and W.D. Julich, The potential of mushrooms. Evidence-based complementary and alternative medicine : eCAM, 2005. 2(3): p. 285-99. 2.) Chen, J. and R. Seviour, Importance of fungal beta-(1-->3), (1-->6)-glucans. Mycological research, 2007. 111(Pt 6): p. 635-52. 3.) Chung, M.J., et al., Activity of subfractions containing pure compounds of Chaga mushroom (Inonotus obliquus) mice . Nutrition research and practice, 2010. 4(3): p. 177-82. 4.) Chintharlapalli, S., et al., Betulinic acid . Research, 2007. 67(6): p. 2816-23. 5.) Wachtel-Galor, S., et al., Ganoderma lucidum (Lingzhi or Reishi): A Supplement Mushroom, in Herbal Medicine: Biomolecular and Clinical Aspects, I.F.F. Benzie and S. Wachtel-Galor, Editors. 2011: Boca Raton (FL). 6.) Yuen, J.W. and M.D. Gohel, The dual roles of Ganoderma antioxidants on urothelial cell DNA . Journal of ethnopharmacology, 2008. 118(2): p. 324-30. 7.) Whitehead, M.T., et al., Running economy and maximal oxygen consumption after 4 weeks of oral Echinacea supplementation. Journal of strength and conditioning research / National Strength & Conditioning Association, 2012. 26(7): p. 1928-33. 8.) Du, X., et al., Astragalus polysaccharides enhance the humoral and cellular immune responses . FEMS immunology and medical microbiology, 2011. 63(2): p. 228-35. 9.) Wong, C.P. and E. Ho, Zinc and its role in age-related inflammation and immune dysfunction. Molecular nutrition & food research, 2012. 56(1): p. 77-87. Immune Assist™ is a combination of over 200 highly purified, immune-active High Molecular Weight (HMW) Hetero-polysaccharides and Beta 1,3-1,6 triple right hand helix Beta Glucans. This product is derived from six closely related 100% USDA Certified Organic, Certified Kosher, biotech lab cultivated, full spectrum, non-GMO medicinal mushroom species: Agaricus blazei - Cordyceps sinensis - Grifola frondosa (Maitake) - Ganoderma lucidum (Reishi)- Coriolus [Trametes] versicolor - Lentinula edodes. Several research studies point to the positive immune effects of fungal polysaccharides and beta glucans. Chaga mushroom, found on Birch and other trees in cold climates, has been used as a supplement in Russia and other North European countries for generations. Chaga draws nutrients from the tree on which it grows and extracts are typically derived from the inner layers of the bark. The active constituents are thought to be a combination of triterpenes, such as betulinic acid, sterols, and polysaccharides. This super spice has documented use back to 1900 BC for specific internal and external uses. Curcumin, the active polyphenol found in the rhizome of the turmeric plant possesses the ability to help the body support healthy immune and inflammation response. * It’s also referred to as the “spice of Life”. Historically, astragalus root was used by the Chinese for its immuno-stimulating properties. For more on Astragalus click the Research tab. You’ve probably been throwing away the lemon peel for years. It turns out that citrus fruit peels possess a wide array of antioxidants. Lemon peels contain compounds that can help the body support healthy immune function. Helping the body with sound oral health was also a secondary benefit of lemon peel. In the extract form, a tertiary benefit on assisting the body with mild stress needs further exploration. Products including Alpha BRAIN™, New MOOD™, Shroom TECH™ Sport, and Shroom TECH™ Immune have a shelf life of two years from the manufacturer date found on the bottle. Copyright © 2015 Onnit Labs, LLC. All rights reserved. 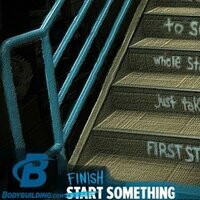 I felt great, great pricing as well, Onnit is known to be pricy. ✓ Your email has been saved. Contains no egg, fish, shellfish, dairy, peanut, tree nuts, wheat, soy. Directions For Shroom TECH Immune: As a daily immune supplement, take a serving of 2 capsules with or without food at any time desired. In times of additional stress or travel, you may take a serving of 2 capsules 3 times daily, with or without food. Do not exceed more than 6 capsules in any 24 hour period unless otherwise directed by a healthcare practitioner. Warnings: DO NOT use if pregnant, nursing or under the age of 18. Consult with a healthcare practitioner before taking this or any nutritional supplement if you have or suspect a medical condition, taking ANY medications, particularly drugs designed to suppress immune activity, over the counter products, or other non-Onnit dietary supplements. If you experience any adverse reaction from taking this product discontinue immediately and contact your healthcare practitioner. Do not use if safety seal is broken or missing Store in a cool dry place. KEEP OUT OF REACH OF CHILDREN.